You may find buying your first home a little bit daunting. With the challenge of finding your first property, choosing the most suitable mortgage, selecting the best solicitor and making sure the whole process runs smoothly, you may find the information below useful to help you achieve the first rung of the property ladder. The first step is to call Malone Financial Services Ltd to discuss the mortgage options available to you. It doesn’t matter if you haven’t found a property just yet, facts and figures can be provided that will help you select the property within your price range. In the meantime we’ve outlined below some background information on mortgages for first time buyers that we hope you’ll find useful. The amount of mortgage you can get depends on your income. Some lenders use a multiple of your income others look at how much you can afford based on your income and outgoings. As a rough guide, a typical multiple is four times your income. This figure could be higher or lower depending upon your individual circumstances and different lenders’ criteria. Lenders who look at what you can afford base this on the number of people and any loans or debts that you have outstanding. Some lenders offer very good deals for first time buyers, so it always worth asking your advisor to research the market on your behalf. Plus you will have to pay for the survey and the valuation of the property, and solicitor’s fees. You may also have fees to pay to the lender for your mortgage. These could be an arrangement fee and/or booking fee.  Contact Malone Financial Services to find out how much these fees may be.